I am very firmly of the view that the State Government should always look first to local manufacturers when awarding tenders to build significant public infrastructure or building projects. That’s why it was disappointing to see the State Government choose a South Korean consortium to build the state’s new trains in 2016. The decision surrendered a huge opportunity to create jobs and grow skills within our own community. It also ignored the skilled train-building workforce which already exists in Lake Macquarie and the Hunter. Prior to the government’s announcement, I had challenged Premier Mike Baird to show the same support for the Hunter as the government had demonstrated in western Sydney with its ‘Fair Go For The West’ scheme. Under the scheme, designed to create 1000 apprenticeships, local job creation was a major factor in the bidding process for large contracts in the west. The same criteria should have been applied to the intercity trains project and to regional infrastructure projects, to ensure that State money is reinvested in building the Hunter’s manufacturing strength. 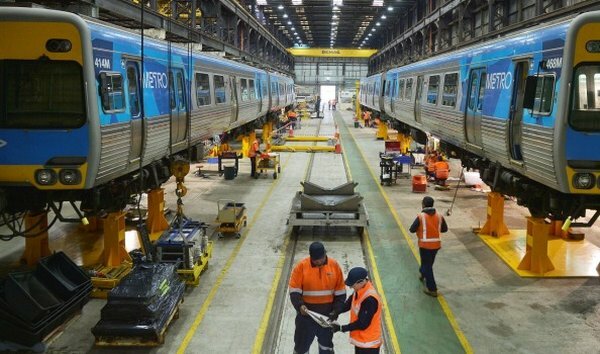 I accept that the South Korean contract will see these trains built cheaper overseas and there is no doubt that they will be of high standard, but what is the real cost to local jobs, local skills and to future opportunities to bid for similar projects when we no longer have the skilled workforce to build them? We’re dumbing down our ability to manufacture, and that’s really going to hurt us in the future. I have been a strong supporter of the ‘Build Them Here’ campaign and I feel very frustrated for our skilled workers who will be wondering just how long their jobs will last, let alone all those jobs which won’t exist for our future needs.